Aam Aadmi Party (AAP) MLAs Amanatullah Khan and Prakash Jarwal being produced at Tis Hazari court in New Delhi. 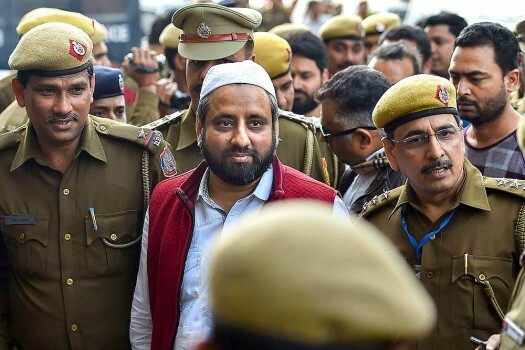 AAP MLA Amanatullah Khan being produced at Tees Hazari Court in connection with alleged assault on Delhi chief secretary, in New Delhi. 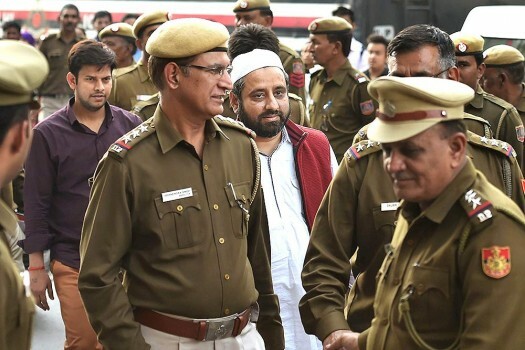 The MLA was arrested on February 20 in connection with the alleged assault on top bureaucrat Anshu Prakash. A midnight meeting with Delhi CM has a top babu leaving in a huff. Another blow to livid bureaucrats. What if we trust Anshu Prakash’s version? Every chief secretary of every state ought to be brought to the CM’s house, made to sit between two MLAs and thrashed till he delivers.